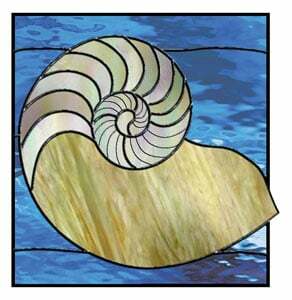 A more challenging project, create this ocean themed stained glass window. Free pattern courtesy of Stained Glass News. Visit their website www.stainedglassnews.com for more information about their full-color, project-packed newspaper, back issues, and subscription information.